Whether you go on a camping with your family or on a solo trip, the demand of a tent cannot be denied. We know setting up a tent is not as easy as it seems. Somehow, the tent has to be set when you are surrounded by dark and dense woods. Dome tents can go a long way to help you in pitching the tent. The Dome tent is your home away from and we want you to not just settle for it rather have a wonderful experience. The tents are quite easy to set up and do not take much of your time. With the huge availability of dome tents, you can definitely uncover the tent that meets your requirements. Whether you are looking for a tent for a single person or for a group of four to five people, We assure you that you won’t be disappointed. Few things are definitely worth considering if you want to have right Dome Tent. Overlooking these key considerations will make you regret your decision. So, before you finalize your decision, looking at these factors will save your day. Size of Dome Tents are definitely worth considering. Plenty of dome tents are available in different sizes and choosing the one depends upon your decision. If you are a family of 3 persons, you might need a huge room that can easily accommodate 3 or 4 people. In case, if you are on a solo trip, the small space will perfectly suit you. There are many tents that can accommodate about 10 people. So, considering the size of the tent can be beneficial for you. Your tent is only home away from your home and you really don’t want to just settle for it. Even if it’s paying a few more bucks to get “that” quality, you must not hesitate. There are times when storms or rain will hit your tent and your tent might be carried or blown away by the wind. You really don’t want that to happen. So, the tent that you are looking for needs to be water proof and wind resistive. Besides this, if you find a tent that is UV protected, there’s nothing better than that. Another thing to look at is the number of doors. Suppose, if two family goes on a camping trip, privacy usually gets overlooked. When the compartments get divided, this privacy factor will get little better. In addition to this, the campers will get their individual storage space. There are many tents that come with one door, two door which ultimately splits the compartment and each of the campers can have his own space. Once you choose your camp spot, all you want is to set up the tent. The setting up of the tent is not as easy as it seems. You don’t want to spend your time setting up the tent. So, before you purchase a tent, make sure that the tent is quite easy to set up. You can read the reviews and check what people are saying about the product. Even if you are a novice to the camping and all, this fact must not bother you when you set up the tent. Dive into our section of Best Dome Tents Reviews to get more insight about the dome tents. We have broken down the specifications of tents that are people’s favorite. The easy to set up tents are now easy to get. Without any further delay, let’s proceed on to check our collection of best dome tents. Our reviews of the products are unbiased and we are not carried away by the manufacturer’s to give them a biased rating. 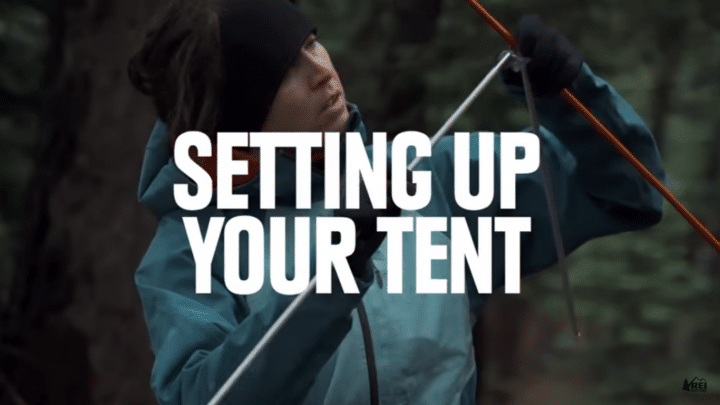 Now, you don’t need to be a pro in setting up the tent. This dome tent takes no time while you set up the tent. Even if you are a novice, it hardly matters. The dome tent features a window that offers maximum ventilation. In addition to this, the tent comes with the storage pockets that allows you to easily store your gears and small things. Due to the great dimensions, 10 x 10 x 6 inches, the tent offers space that fits 6 people easily. Comes with the e-cord that allows you to light up your tent. The dome tent provides an ample space to fit about 6 people. The windows offer a great ventilation and light can easily enter your tent. The quality of the tent is doubtful and the components feel to be brittle. The customer service might disappoint you. Our next pick in the segment of Best Dome Tent is CORE 6 Person Dome Tent. The tent is quite easy to assemble and you don’t have to work hard to set up the tent. 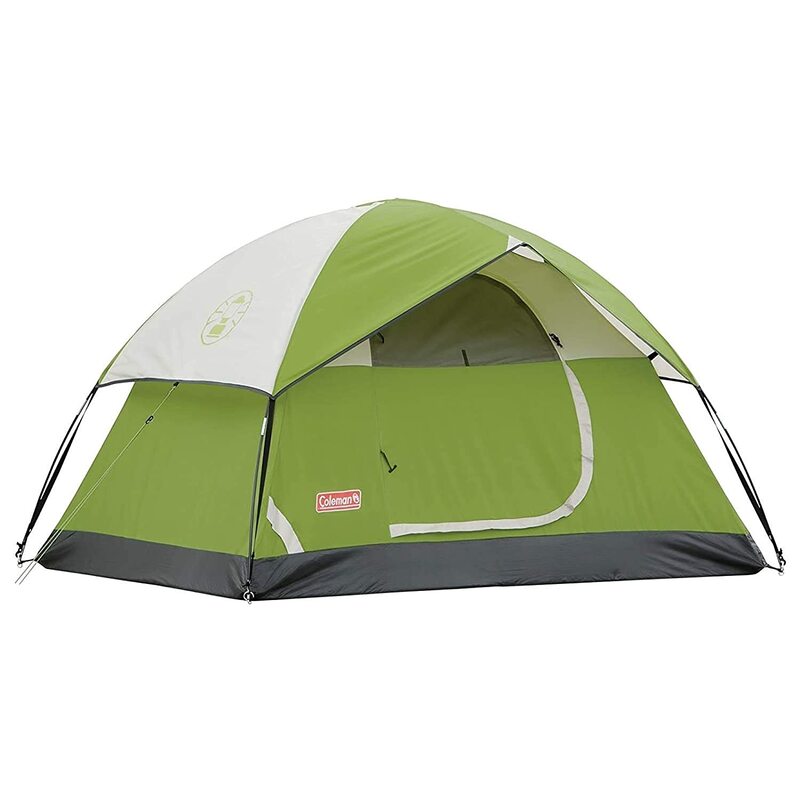 The tent features a much spacious room that can fit 6 people. In addition, the tent comes with the lantern hook and small pockets to avoid messing the surface and you can keep your essentials and gears in an organized way. The tent is much easy to set up and does not take time to set up. The quality of the tent is durable that will last long. Plenty of space is offered by the tent. 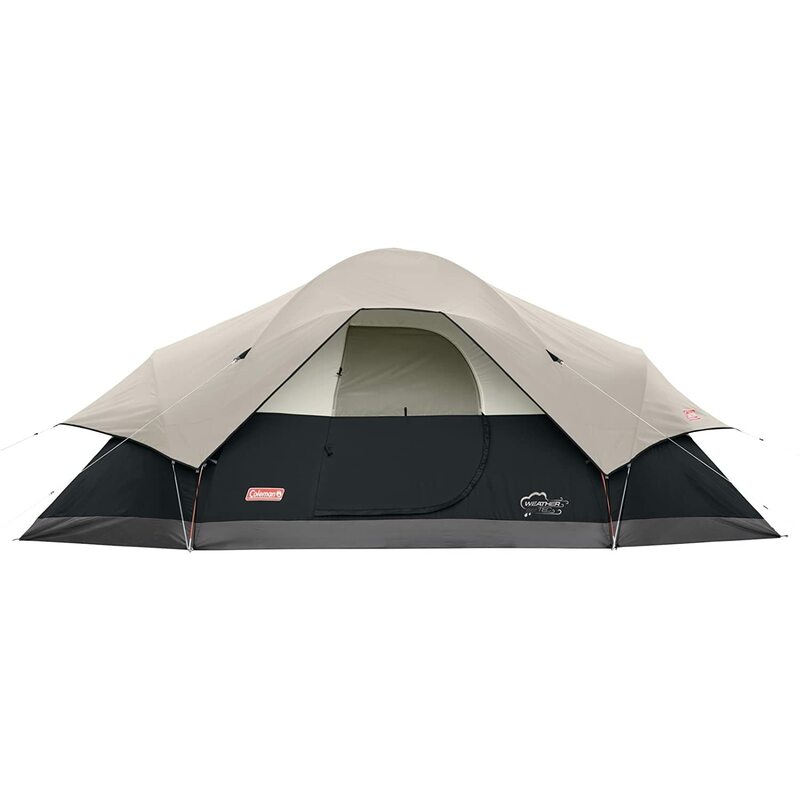 Experience the camping bug-free with the Coleman Evanston 8 person Dome tent. The dome tent features the netting that keeps the bug away, the presence of which usually annoy us. The room inside the tent is very spacious and there is no problem if you stand still and straight. The tent comes with the storage pockets that allows you to keep your small stuff within the reach. The dimensions of the tent are 28 x 10.2 x 9 inches and weigh around 20.9 pounds. The screen in porch is quite useful to keep the bugs away. The tent is quite easy to set up and disassemble. The setting up of the tent does not take much time. An abundance of space is offered by the tent and can fit up to 8 people. Rainfly does not extend till the screened area and during rain, the water might enter the porched area. The porch area does not offer plenty of space. The tent brags about the massive space it offers. The dome tent is enough spacious for 9 people. This tent comes with a neck that allows you to hang the lantern for the beautiful lighting inside the tent and remove the darkness. For the constant flow of air, the tent features air vent holes that give you air to breathe. You can find the e-cord and lets you play music. Comes with plenty of space. You don’t have to bend or lean to enter the tent. The tent is quite easy to set up and even if you are new to camping, you can still easily set up without taking a lot of time. The tent is water and winds resistive and the resistance is great. When it is covered with the rain fly, the ventilation is not that good. The quality of the tent is skeptical. The dome tent offers plenty of space for 3 people. Moreover, the setting up of the tent is quite easy and takes no time in pitching the tent. 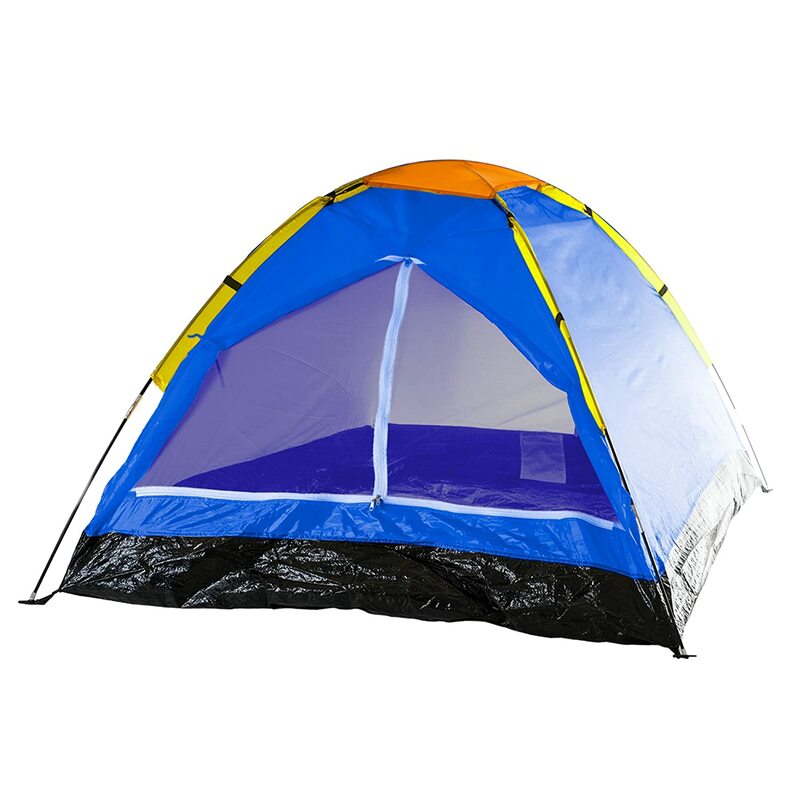 The tent features two mesh windows for the easy ventilation and D-style door for the entrance and exit of people. You can also find the mat that keeps the tent clean. This Dome tent has dimensions of 8.5 x 4 x 8 feet and weighs 8 pounds. The tent comes at an affordable price and is not expensive. The tent is quite easy to set up. As claimed, the tent provides enough space for 3 people. The rainfly is tiny and can create some problems for you. The build quality of the tent is not so solid. So, you have to be careful in opening the zipped windows or doors. 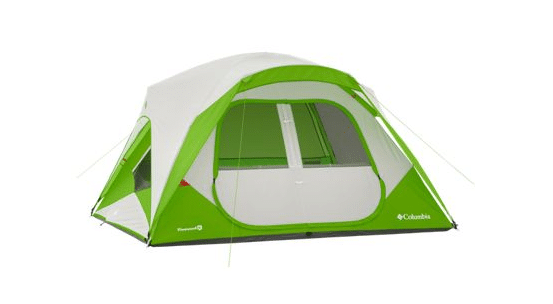 The massive dome tent in our list is Coleman that provides the space for 10 people. 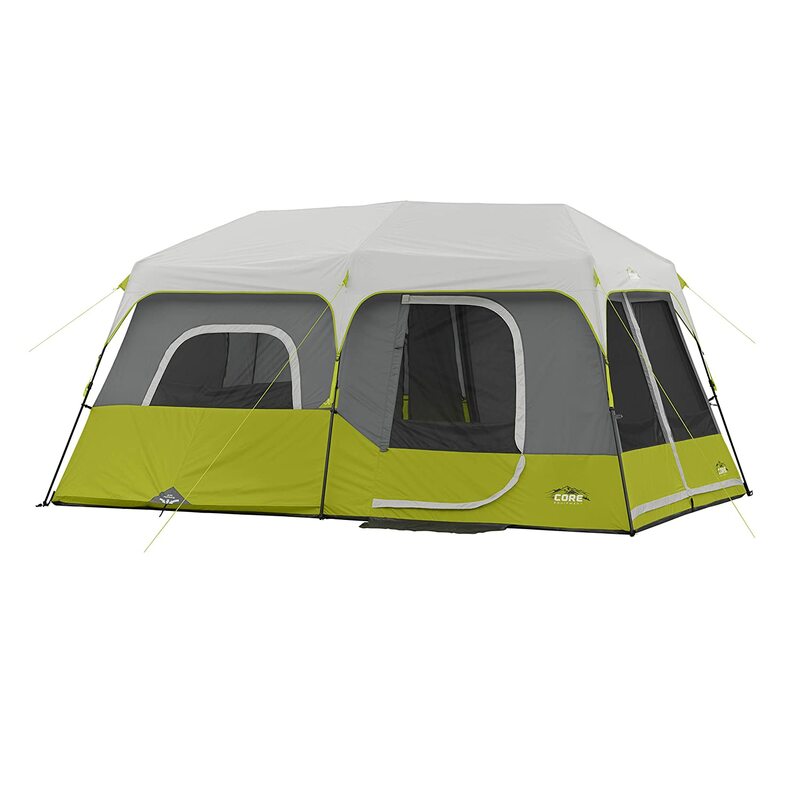 With the 6-foot 8-inch center height, you can easily stand still inside the tent and you don’t have to bend or lean to enter or exit the tent. The hinged door offers ease to the people who repeated go in and out of the tent. Like every other model, the tent also comes with storage pockets that hold all your gears and stuff. The tent offers a massive space and this might be a good choice when you have the family to bring. The user-friendly approach makes it much easier to set up. Hinged door provides a comfortable exit and entry inside the tent. The tent is quite heavy since it is bigger. Screen area does not get covered by the rainfly and during rain, water might get collected in the screen area. The Wenzel 8 Person Klondike Tent is all set to give you a great camping experience. 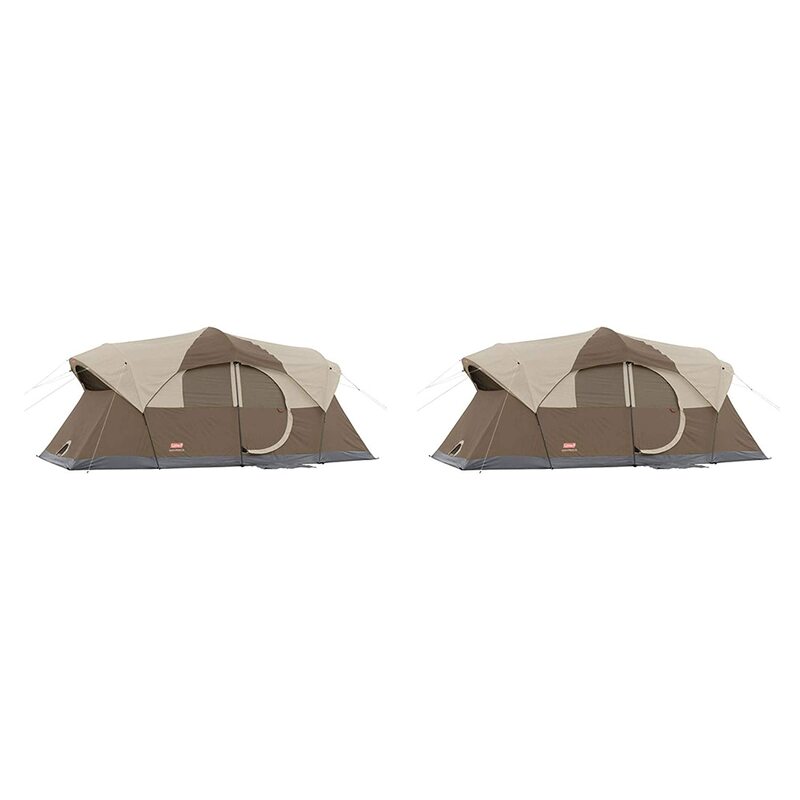 The 8 person dome tent provides ample space to stay inside the tent very comfortably. With the 6.5 feet, you can stand straight without leaning or bending. In addition, the tent comes with the screen room that allows you to enjoy the rain while sitting inside the tent. There is a door that separates the screened area and the main compartment. The porch area is definitely impressive. You can store your additional items or play some games in the porch area. Ample space that easily fits up to 8 people. Windows perfectly allow the ventilation and good flow of air. The ceiling on the porch area is low and you might have to squat or bend to enter or exit the tent. The tent might not be able to withstand heavy storms. If you are looking for a tent that can shelter your whole family, nothing can beat this tent. The dome tent is quite easy to assemble and does not take any time to set up. The tent features two doors, six windows that let the constant flow of air inside the tent. If you are too tall, you can still stand straight without touching your head to the ceiling. The tent is strongly built with solid materials and the elegant look makes it more appealing. No issues with the ventilation. Ample space is offered by the tent. Built-in storage space is less. The stakes could be better. The issue arises with the zippers as the zippers stop midway. This dome tent features the advanced material that resists the UV rays emitting out of the sun. Coming to the ventilation, there is a constant flow of air to let you breathe. The presence of windows and mesh roof make it possible. You can find 2 large pockets that keep your additional items stored and safe. The dimensions 17’x 9’x 80 are enough to provide adequate space for 6 campers. Spacious room that can sleep up to 6 people. The porch provides additional space to keep your bags and other stuff. Time will tell how long the tent lasts. You can come across with the zippers issue since zipper gets stuck very often. With the 17 by 10 feet and 72-inch center height, it can easily shelter 8 people and besides this, the setting up of this tent is quite easy. You can easily split the room into three compartments using the room dividers. Coming to the ventilation, the tent comes with the Cool-Air port and Variflo adjustable venting system that make sure that there is a constant supply of air inside the tent. You can easily fit 2 big mattresses and still have some room. 3 separate compartments is another impressive thing. You might find yourself in trouble with the zippers. Tent stakes could be better. The dome tent brags about the space it offers. Space can accommodate 8 to 9 people. This dome tent comes with the detachable room divider that adds to your privacy and more convenience. Coming to the ventilation, the tent comes with the windows and D-shaped door that constantly lets the air to flow inside the tent. The tent is properly ventilated. Thanks to Windows and D-shaped door. The tent is wholly waterproof and anti UV. Detachable room divider gives you more privacy. The quality and durability of the product do not seem well. The leakage problem might arise. 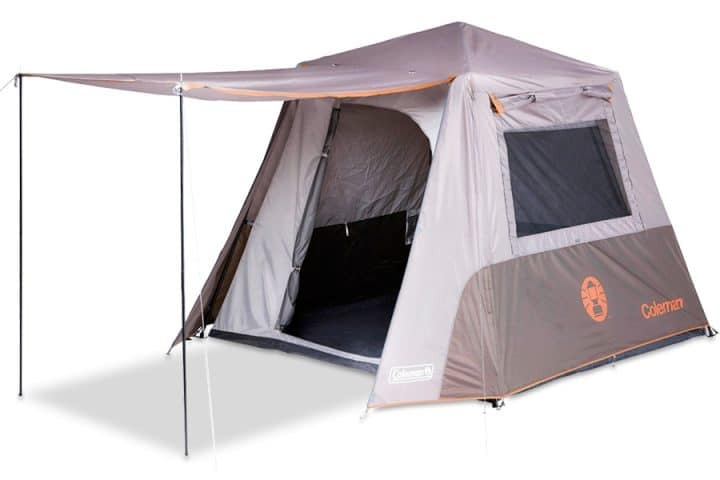 Experience the hassle-free tent set up CORE 9 Person Instant Cabin Tent. The tent offers plenty of space that can shelter about 9 campers. For the privacy, the tent comes with the detachable room divider that can be removed when you want an open area. The windows and T-shaped door provide well-ventilation. In addition to this, the tent comes with the wall storage pockets that hold all your gears and additional items. Huge Space to accommodate 9 campers. Easy to set up, Does not take much time to set up. The tent is well ventilated. Quality of stakes feels like flimsy. Because of huge storage space, the tent is a little heavier. This dome tent is pretty easy to set up and takes no time in pitching the tent. You can experience the good ventilation because of the presence of two large windows that allows the constant flow of air inside the tent so you have a peaceful sleep during summers. What’s more interesting to know is that the tent comes with the small pockets that keep your items more secure and in an organized way. Whether it rains or the scorching heat of the sun, you need not to bother at all. This Dome tent comes with a rainfly that has got you covered in case if it rains or whatever. The tent is quite easy to set up and does not take much of your time even if you are setting up for the first time. 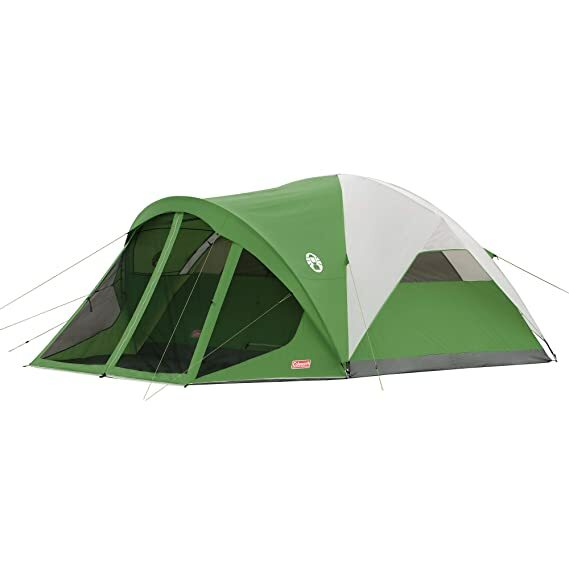 This tent comes at an affordable price and is really inexpensive. You don’t require any partner to disassemble the tent. The tent can be broken down very easily. The tent does not come up with UV protection and during summers, this is something you definitely need. Living space is definitely not for two people. 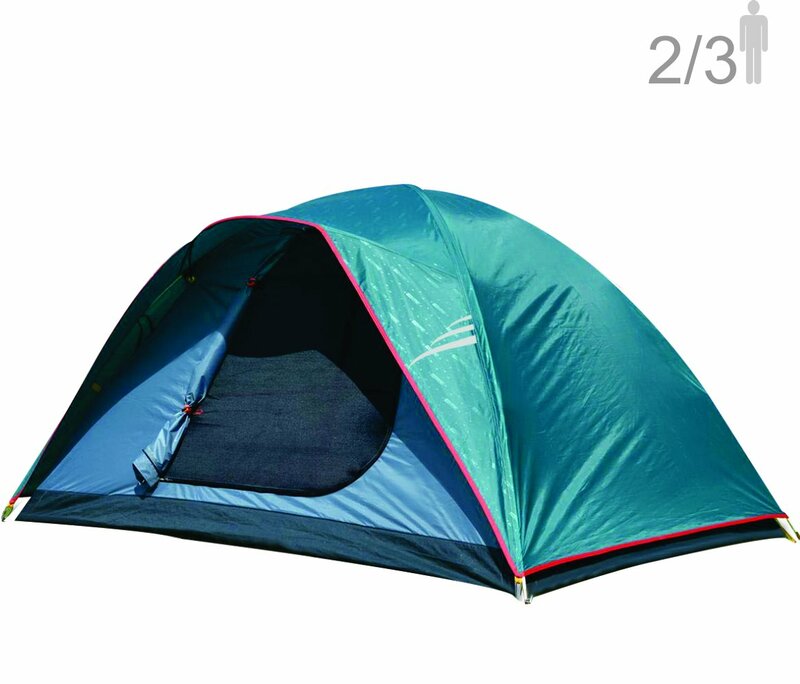 The lightweight dome comes with a D-Shaped room that is capable enough to shelter 2 campers very conveniently. You can also find small pockets that can hold some of your stuff so your surface looks all clean. Talking about the ventilation, the tent comes with the windows and fiberglass poles that allow the flow of natural air inside the tent so you don’t feel agitated during summers. The tent is lightweight so carrying the tent on camping won’t bring any hurdle. The small pockets will keep your stuff organized. Fairly priced and not expensive. Experience the stress-free tent up with NTK Oregon GT 2-3 Persons Dome Tent. As the name suggests, this Dome Tent can shelter 2-3 persons at a time and still give you little room. During summers, this UV resistive tent will reflect the sun rays and prevents the sunlight to enter your tent. Moreover, In case of heavy rainfall, the tent has got you covered. Strongly built and well constructed. UV Protection gives you comfort during the peak time of summer. Micro Mosquito mash keeps the bugs and mosquitoes away. The zippers can be bit irritating. The opening and closing of zippers can create some problems. The rainfly is somewhat short and that can be a problem during the heavy rain. The collection that we reviewed is people’s all-time favorite. Choosing the dome tent depends upon you and what specifications you want. We advise you to look for a tent that has adequate storage space for about 2-3 persons so that you have ample space to store your belongings. In case, if more people want to join you on your camping, your tent will save their day.